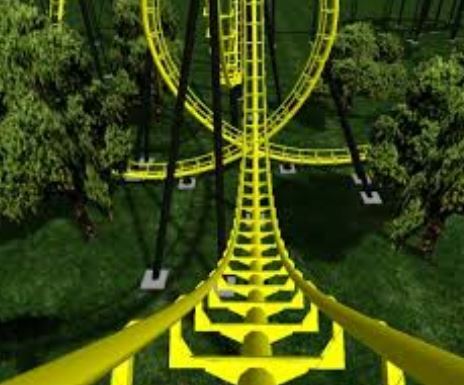 If you were to compare the prescription filling process to a roller coaster ride (not a far stretch for those who know this business) the final pharmacist “verification” step is sort of like that moment that the coaster just goes over the top of the highest peak – your heart is in your throat – it is all downhill from here! No matter what retail pharmacy software you use, there is some point at which the licensed pharmacist gives the prescription the final “okay.” It is, typically, the last opportunity to catch a serious mistake. Once it has been thus “verified” it will in all likelihood be taken home by the patient and ingested according to the directions on the label. So much hangs on the importance of that final check. If it is the wrong drug, wrong strength, wrong patient or wrong directions…a tragedy could be just around the corner. Every day pharmacists are making hundreds of thousands of these verification checks across the country. They are often doing so under an enormous amount of pressure to move faster and juggle multiple tasks at the same time. 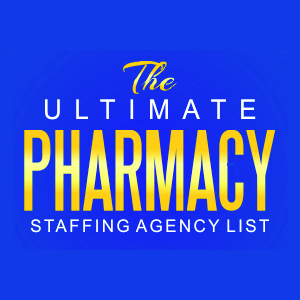 They will be verifying prescriptions while taking phone calls, organizing baskets, writing sticky notes, filling printers with paper and filing reports. When I train students and new pharmacists I try to emphasize that nothing – NOTHING – is more important during your work day than giving the final verification step your full attention. Nothing. Not counseling. Not scheduling. Not answering phone calls. Here is where both the patient’s life, and your license, are on the line. Virtually everyone I train hears me say this: “Before you verify this prescription, picture yourself in front of the board of pharmacy trying to explain why you did it.” Yes. I’m trying to scare them a bit. It is that important. Seriously. A deep breath will take you less than 5 seconds. You can spare it. If you personally check 500 prescriptions in a day then the deep breath only used up 41 minutes of your 8 hour shift. During this breath you should clear your head of anything else except for the patient and prescription that are on the screen in front of you. After my breath my very first thought is this: Who is getting what? For example, “John Doe, age 46, is getting xyz medication.” Don’t worry yet about the details. Just ask yourself this question: Does this make sense? Does it make sense that John would be getting this? Does the medication make sense for his age and gender? Does it make sense given anything else I might happen to know about John? Over my many years reading pharmacy news, and hearing about pharmacy errors, I can tell you that many, MANY mistakes could be caught just simply based upon the fact that the medication makes very little sense, going to someone of that age and gender. I believe this initial “big picture” step is critical. When asked “how many passes” were made, most viewers get it right. However, what the vast majority of viewers TOTALLY miss is that, during the video, a person dressed in a gorilla costume passes from one side of the screen, through the players, and out the other side. No one was looking for the gorilla. And most people never see it. My point is this: By taking a step back and looking at the BIG picture, you will more likely than not see the gorilla (a big obvious mistake). This step, once practiced, should only take 5-10 seconds at most. In most pharmacy software systems you will have the chance to compare the hard copy prescription to what is now in your hand. BEWARE – the biggest problem with “checking” a prescription is that our brain is naturally prone to see what it expects. If the prescription says “lisinopril” then our brains tend to expect to see “lisinopril” on the bottle – and we may THINK we saw that, even though it actually said something different. In an article published in Psychology Today, Susan Barry (PhD and professor of neurobiology), states “…what we see is governed to a large extent by what we expect to see. As with our movements, our brain sets us up in advance for what we will see.” Do you hear what she is saying? Our brain “sets us up.” You can’t escape this, but you can be aware of it and guard against it. How long should it take to check all these things? I tell my students and new pharmacists this: you don’t aim for speed, you aim for accuracy and consistency. The speed will pick up as you get used to the process. But when you are just starting out, just develop the pattern and habit. Speed will follow. You need to be sure that everything you have seen so far is appropriate based upon what the patient is currently taking. Are there any potential drug interactions? Disease interactions? Is there possibly a duplication in therapy? Did the dosage change? If so, should you verify that with the patient before dispensing? Included in this “profile” check might be a look at your state’s prescription monitoring program to see if a controlled substance was filled elsewhere recently. This is, in my opinion, the basic structure of a safe, effective and consistent habit for conducting a final visual verification of a prescription by a pharmacist prior to dispensing. P.S. For pharmacists out there who know the pain, guilt and regret associated with making a mistake on a prescription – this topic can be very sensitive. I know that. We’re all human, and mistakes happen. No one wants to make an error, especially if that error caused someone harm. I hope you know that such a mistake doesn’t make you a bad pharmacist. It makes you human. This is good. I like the first two; often, I am so focused on the trees that I miss the forest and forget to breathe. And you’re right, those first two steps are needed, and in the whole scheme of things, take relatively little time. Within number 3, I focus on my 7-point check, which are your first five items: patient name/DOB, drug name, drug strength, drug quantify, directions, prescriber name and number of refills. Your next points are also good to think about, although, I have to be honest, I have started not concerning myself with billing/reimbursement, leaving that for assistants and technicians. This frees me up more for patient care at varying levels. As a regulator (30 hours per week), I find we don’t do number 4 well enough. I observe pharmacists verifying prescriptions in the middle of the pharmacy counter, never referring to the patient’s fully profile and history on the computer. I have been talking to pharmacists about doing this more consistently, even when verifying refills. Good work, and thank you. This is to-the-point, but quite thorough. Thanks for the comments – all very good points! I appreciate you sharing these thoughts with our readers! Please stop by again!